Pakistan has never beaten India in the 50 over cricket world cup history, but they do have a better head to head record in almost all formats of the game. 2015 world cup will present Pakistan with another chance to take on India and change the history when both teams takes the field come Sunday, 15th February 2015 at the Adelaide Oval ground in Australia. It will be the biggest game of the group stages and tickets were sold within hour of going for sale at ICC world cup site. There is a great history between the two sides, the rivalry and both teams get the best out of each other whenever they go head to head, so going into the world cup game who will be favorites ? Well on paper India ODI side is much better than this current crop of Pakistan team who have been under performing as far as ODI cricket is concerned and India should go into the match as slight favorites. But we all know that form and favourite tag means nothing when India play Pakistan, it will largely come down to the fact that which ever team absorb pressure quickly and better will win the contest. 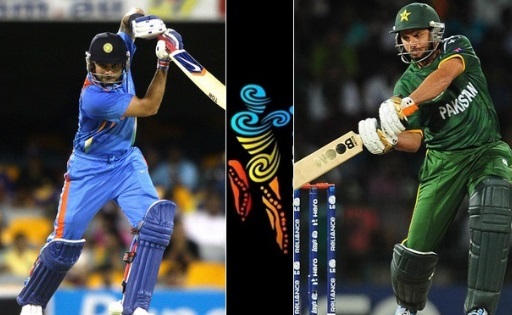 Lets take a look at all India-Pakistan world cup encounters over the years. Pakistand and India has played 126 matches against each other and Pakistan has come on top with 72 wins and 50 losses. But when it comes to World Cup matches between the two countries India leads the way by winning all 5 occassions the teams have meet in ICC World Cups. 2011 World Cup (Semi Final) INDIA India wins by 29 runs at Mohali, Tendulkar was man of the match against with his 85 runs inning. India has been in Australia since November 2014 and they lost in the Test series against Australia, and failed to win a odi game in the tri-series between India, England and Australia. While there is some unrest in the camp regarding captaincy, but despite all that India has a formidable batting lineup compared to Pakistan but they can be in trouble against any test nations because of their poor bowling which has been cause of concern for them. Looking at the Pakistan squad they might miss Saeed Ajmal and Muhammad Hafeez bowling while their batting looks fragile more than ever and in terms of bowling alot depend on Junaid Khan and Muhammad Irfan who will be playing their first world cup. I think this match comes down too early for Pakistan in the World Cup and I think India will win this one but we might see both teams play against each other again in the semifinals if both teams qualify from group stages. What you think of this match ? will Pakistan finaly break the jinx and win their very first match against India in the world cups ? let us know your thoughts by using the comments section below.